Born in Tropaia Gortynias, Greece in 1957. He studied Painting and Scenography in Athens School of Fine Arts (ASFA) with lecturers; D. Kokkinidi, V.Dimitraia and V.Vasileiadi. 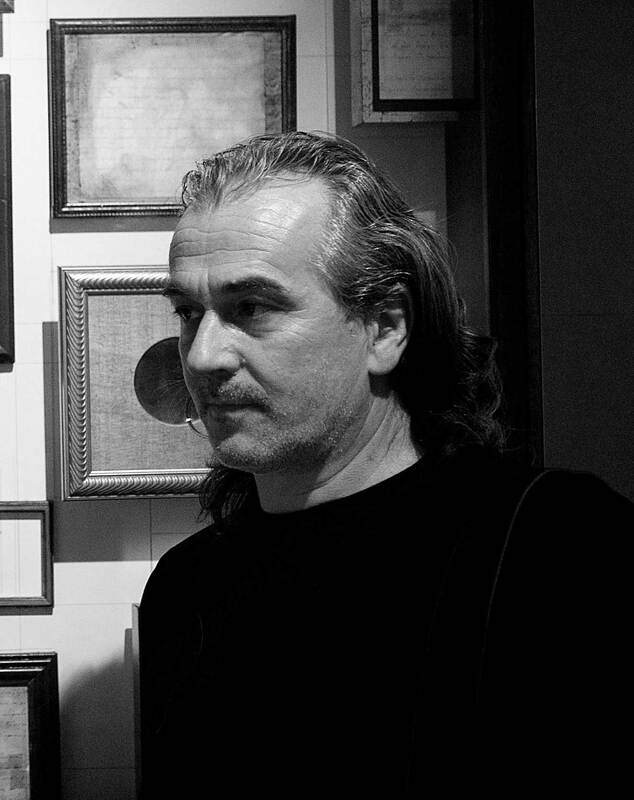 He has had more than fourteen solo exhibitions (Municipal Gallery of Athens- Art Athina Titanium- Art Forum Tsatsis Thessalonica- N.Morfes Athens- Citronne Poros Island- Apocalypse Nicosia- T.A.F. Athens) and many group exhibitions in Greece and abroad (Cyprus, Spain, Germany, Italy, Croatia, England, U.S.A). He has painted the cinemas “Ideal” in Athens and “Cinemak” in Piraeus. He teaches Painting in ASFA since 1989.